Something that just does not happen as often as it used to is the dinner-show. Some good music, some good food in a relaxed atmosphere for a price that won't break the bank. On Saturday July 13, 2013, there will be just such an event. 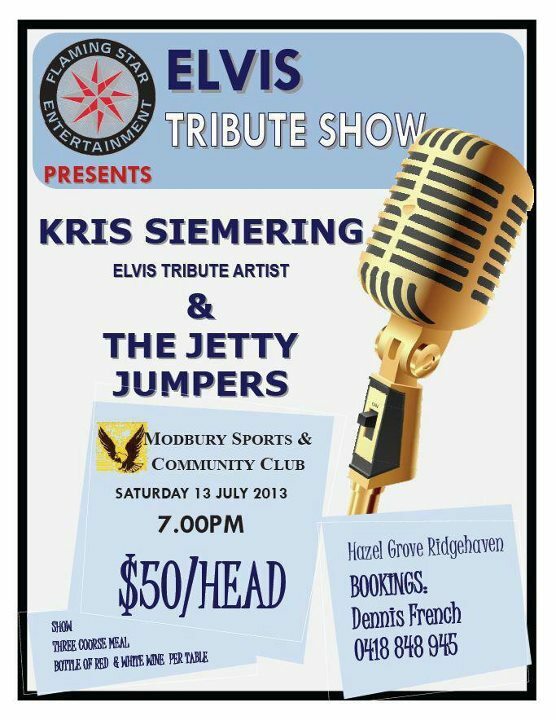 At the Modbury Sports And Community Club, Ridgehaven (behind Waterworld), renowned local band The Jetty Jumpers - led by Elvis tribute artist Kris Siemering - will be the headline act at a dinner and show night. For $50 per head - which includes the show and dinner (a three-course meal), as well as a bottle of red wine and a bottle of white wine per table - you can enjoy a fine night's entertainment, starting at 7pm and going through until midnight. The Jetty Jumpers themselves have been around since 1992, originally as Rockin' On, while Kris has been performing Elvis tribute shows for 25 years. They joined forces and, as they put it, now have 250 years of combined musical experience. 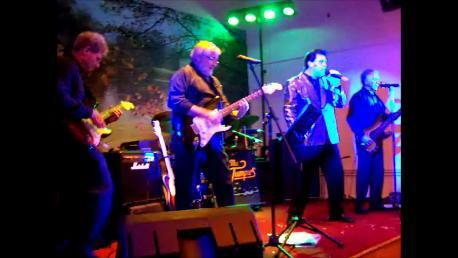 As well as Kris, the other band members are: George Canning (guitar, vocals), Adrian Gray (drums, vocals), Denis Stratford (bass, vocals), and Barry Lomman (guitar). 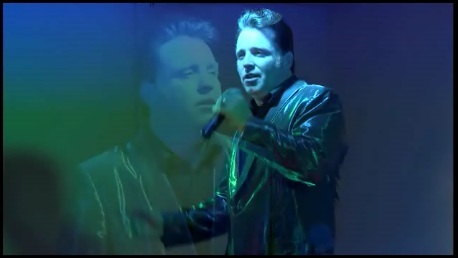 They cite as their influences The Shadows, Elvis Presley, Roy Orbison, Cliff Richard, The Coasters, The Beatles, The Eagles, and Gerry and The Pacemakers, to give you an idea of the styles you will hear. The Jetty Jumpers live on stage. With five hours at their disposal, and light and sound supplied by Colin Simpson of Flaming Star Entertainment, this promises to be an entertaining show. So for a fun, different night out, get in touch with Dennis French on 0418 848 945 to book your tickets.